We stock two types of aluminum angle, Structural Angle and Architectural Angle. 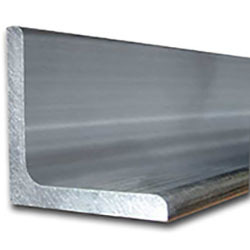 Structural Angle is most commonly produced in the 6061-T6 alloy, it has rounded corners on the inside and is a higher strength than the 6063 alloy. Architectural Angle is most commonly produced in the 6063 alloy and has square corners both inside and outside. TIP! Use the "Refine By" (left side of page) to narrow your search by Alloy or Size.